2017 – The GOOD News! Comments Comments Off on 2017 – The GOOD News! 15 December 2017, Comments Comments Off on 2017 – The GOOD News! Andy Atkins is CEO of the nature conservation charity A Rocha UK. Before joining A Rocha UK, Andy served with other world changers like Catholic relief agency CAFOD, evangelical aid organisation Tearfund, environmental activists Friends Of The Earth and the Make Poverty History campaign. "I am passionate about conserving and restoring nature and preserving a life-sustaining climate, for the love of God and fairness to future generations." The News is dominated by bad news. Good news rarely makes the headlines – not enough conflict, scandal or tragedy. But if we are to turn the tide of environmental destruction, we need to root out good news, the solutions to environmental problems, and build on it fast. That’s practical and biblical (and no coincidence). As I look back on 2017 I find so much good news. Amidst bleak news on the decline of wildlife in the UK and abroad, there was evidence of what can be achieved. Farmers in Scotland, working closely with the RSPB, have reversed the decline in the Corn Bunting, one of the UK’s most endangered birds. 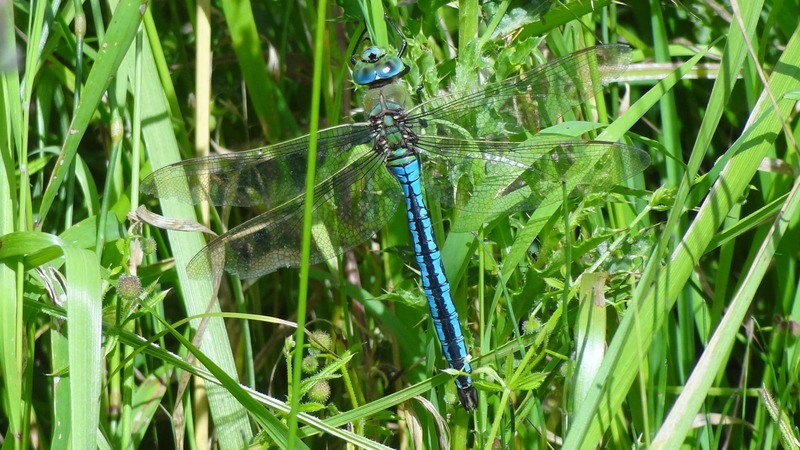 As A Rocha UK develops its own Foxearth Meadows nature reserve, we’ve registered 20 of UK’s dragonfly and damselfly species, showing how odonata respond to the right conditions. Responding to public pressure and scientific evidence the Secretary of State for Environment, Michael Gove, announced that the UK will back a total ban on bee-harming pesticides (neonicotinoids) in fields across Europe. Responding to international pressure, China’s government enacted a ban on ivory sales and is shutting down ivory factories - a big step toward saving elephants and rhinos from extinction. Climate change is already damaging nature and people. It’s urgent that we get our economies off fossil fuel energy production - the biggest source of climate changing greenhouse gases - with each country taking responsibility for it’s share. But did you know that in the UK we went without coal power for 24 hours in April, the first time since the industrial revolution? In fact renewables provided nearly 30% of UK power between April and June 2017. 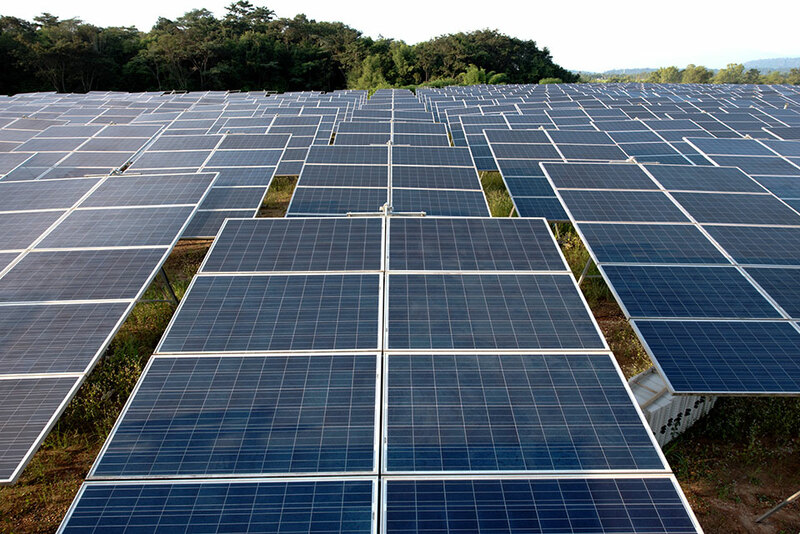 Solar power alone eclipsed the UK’s eight nuclear power stations for electricity generation for one day in May. The key to rolling these solutions out faster is public backing, including bringing whole sections of the public on board, such as Christians and Churches. And there’s good news here too: for example, the number of registered Eco Churches has grown to nearly 800 this year. The answer to bad news is to find the good news and build on it fast, to match problem with solution, evil with good. That’s what we’re called to do as Christians. That’s what A Rocha UK is committed to doing as a Christian environmental charity, with our supporters and volunteers. For all the bleak news, 2017 has, in fact, given us lots to build on together in 2018.